I walked into my current job, half-blind, highly-weary about taking on a job that would test my creative skills. For years, my creative skills in terms of designing anything had been kept to myself, and since graduating from Graphic Design, I didn’t even think to create a portfolio of all the pro-bono things I would do. Then I got this job without showing my portfolio. It seemed as though everything was based on what my friend Ice had said to them, also based on the interview they gave me. 2 months into the job, the creative door opened up for me, and there I was, finding myself opening up photoshop and creating compositions myself. Since then, endless days have been spent visiting all these websites. 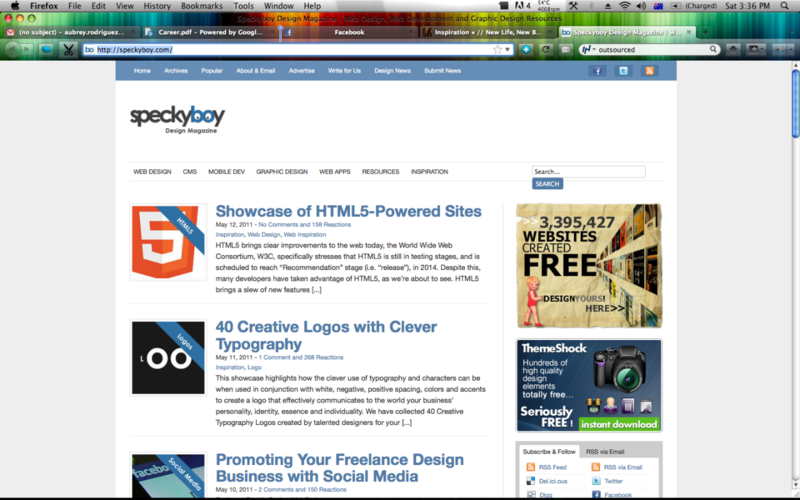 One of my favourite websites is this one here, Speckyboy. Every day, this site gives me inspirations and ideas to work with and not a day goes by that I don’t read up on their articles. So for those designer geeks out there, here’s a site full of uber useful information!